Last week a picture of down-and-out former Pretoria University, Mamelodi Sundowns, SuperSport United, Moroka Swallows, Chippa United and Bafana Bafana attacking midfielder, Lerato Chabangu, was doing the rounds on social media with a lot of people mocking the former international star who has clearly fallen on seriously hard times. Some felt pity for the out-of-sorts former pro while others felt he had dug his own grave and therefore should just ‘face the music’. It is easy for everyone to remark on these situations from a distance until it happens to them or someone they love. What hurts the most about the social media reaction to Ace’s situation is the realisation that he’s not the first nor the last to go through this rough patch. A number of former professional footballers before him went through this bitter experience and Lerato himself watched and heard about them, only to go on and have a personal experience of the same ill fate. Even some of those making fun of the Tembisa-born former attacker are, sadly, going to experience what he is going through, at some point in their lives. This is what bothers me the most about Lerato’s ‘riches-to-rags’ painful story. His story once read opposite, as he was given a life-changing opportunity to play professional football. Change his life did, but the thought of his life going full circle in such a short space of time is sobering and heartbreaking. Chabangu had the world at his feet, a thorn in the opposition’s defence, but a nightmare for any coach he’s worked with. The dribbling skills he possessed on the field were almost always applied off it as well. 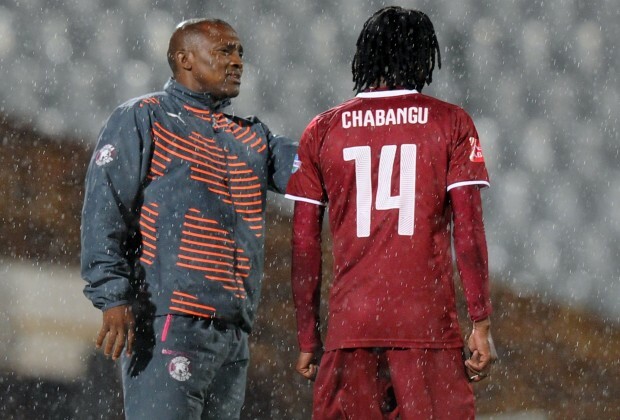 The signs were always there but, unfortunately, Chabangu never bothered to take time to listen to the whispering voice to his ear. The small whisper that was ignored has now become a screaming shout! Sadly, once again, nothing can Lerato or anyone do to undo the damage his failure to listen to that small internal voice has caused him and the South African football fraternity. It is not like people didn’t try to help him, I know of a lot of people who bent over backwards trying to make him realise the talent he had and what discipline could do for him. Gordon Igesund is one of those who refused to give up on the talented but wayward Chabangu but, just like everyone else, they could only do so much to help as most help needed to come from within. We should learn from Chabangu and other former players who are going through difficult financial storms instead of laughing and ridiculing them. If you saw what Chabangu was on the field of play, not many would’ve imagined that this would be the script to the end of his career. However, those who knew him up close and personal won’t be surprised at how things have panned out for the former Bafana Bafana international. He’s had his fair share of negative media coverage, something he seemed to thrive on. This is one player who never cared what was said or written about him as he believed, “We all have problems, even you journalists who write stories about us.” Such was Chabangu’s attitude towards the members of the fourth estate! The thing about ‘All you need is love’ is that he was sometimes too honest, frank and with a bit of arrogance to his approach to life. No one could tell Chabangu what to and what not to do. He believed he was old enough to do as he pleased, sometimes – in fact, mostly – to the detriment of his game. Frequent clubbing, women and a lavish lifestyle were just some of his weaknesses and they all took their toll on him, eventually. When they say you can’t cheat football, you need to look no further than Chabangu for evidence. This is one player who would go out until the early hours of the next day and still find himself among the top performers at training in the morning. Some of his former teammates are on record attesting to this fact but, true to the nature and form of the sport, he could only get away with that attitude and approach for so long. The man fell on his sword! Hence at 33, he’s nowhere to be seen in the professional ranks while the likes of Siyabonga Nomvethe (41), Jabu Maluleke (36), Reneilwe Letsholonyane (36) and Paulus Masehe (35), among others, are still going strong. What is sure to drive Chabangu up the wall even more than the loss of income and the deteriorating lifestyle is the cold fact that those he thought were his friends were the first to distance themselves from him once the “fit had hit the shan”! That’s a lesson for everyone to be aware of your surroundings because not everyone who is around you is your friend. People with your best interests at heart will never allow you to entertain them at your own expense, destroying the same body that brings you the income to have what you have. This is the message we need to start preaching not only to footballers but everyone, instead of laughing at them when things go haywire. We all have a role to play in helping one another through guidance, protection, advice and general care. We need to change the mindset of always waiting for people to fall in order to laugh at them. Let’s learn from the likes of Chabangu and ensure that their misery doesn’t repeat itself, instead of laughing at them. Here’s hoping that something comes up for Ace so that he can also get another chance at changing his life. Everyone deserves a second chance in life, for no one is perfect. Thanks veejay... it's either we help the guy or stay out of his business/life.